Are Easter lilies poisonous to cats? Easter lilies are extremely poisonous to cats. Even if your cat just drinks some Easter lily vase water, they can go into acute kidney failure and die within a few days. So it’s very important to be careful when choosing plants for your home. What should I do if my cat eats a lily? 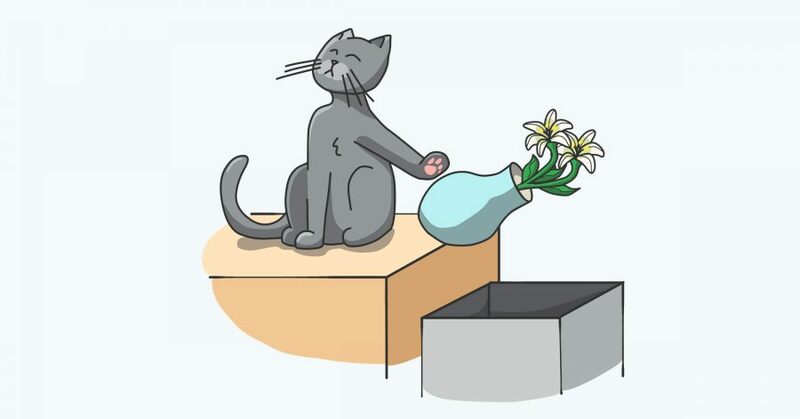 If your cat has ingested any part of a lily (flowers, leaves, pollen, water from a vase, etc), you should take them to your veterinarian immediately. Make sure to also bring a sample of the plant in a sealed bag. If the appropriate steps are taken quickly, the condition can be successfully treated and the damage controlled, or even reversed. However, even waiting 24 hours can be too long, resulting in irreversible renal (kidney) failure. If it’s outside normal business hours, there are 24/7 resources like the Pet Poison Helpline that can help you confirm whether the plant is toxic (services like theirs may charge fees for phone consultations). Are all types of lilies poisonous to cats? Lilies from the genus Lilium and Hemerocallis are the most toxic and life threatening. This includes Easter, Japanese Show, Asiatic, Rubrum, Stargazer, Red Tiger, Western, and Wood Lilies. These are often found in floral bouquets around the holiday season. Others like Lily of The Valley (Convallaria majalis) or the Gloriosa Lily (Gloriosa superba) can also be severely toxic, causing cardiac arrhythmia or other organ failure. When picking up flowers for your home, make sure to tell your florist about your concerns. While some grocery store florists may not be familiar with the intricacies of various plant species, a floral shop should be able to help you avoid lilies in the Lilium or Hemerocallis families. Safer alternatives are Roses, Sunflowers, Orchids, and Daisies. The Pet Poison Helpline has a comprehensive guide on their website, noliliesforkitties.com.